June 1 and September 1 are the most popular move-in dates in Milwaukee, due to the abundance of rentals available during this time. Another factor: the outdoor temperatures are mild. If you’ve ever moved your furniture and other belongings across town during a Wisconsin winter, you understand! According to a RentJungle.com report released in July, the average price for a two-bedroom apartment in Milwaukee is $1,482 and a one-bedroom apartment rents for, on average, $1,079. Of course, like any city, rental costs vary according to the neighborhood, the size of the property and its amenities. Here are several reputable rental companies in Milwaukee and its surrounding suburbs that offer living spaces, either by month-to-month or a six- or 12-month lease. It is a mix of units in apartments and rental homes with yards. 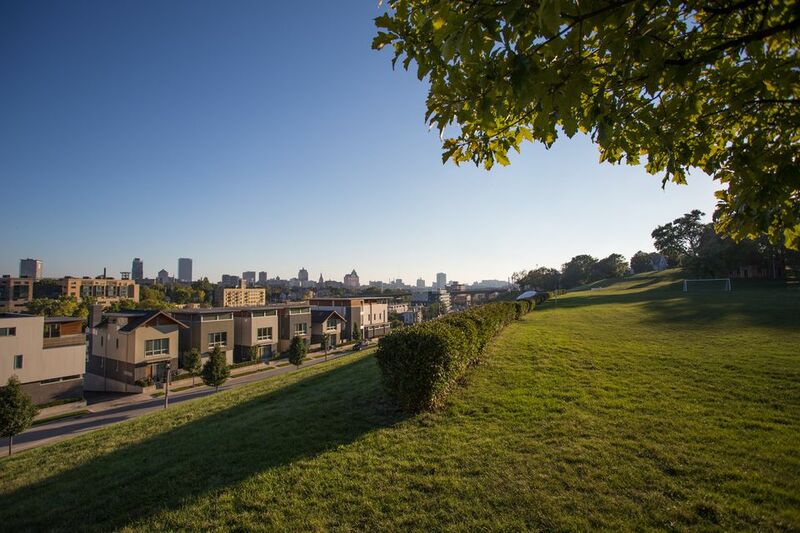 For a guide to Milwaukee neighborhoods, this link on Visit Milwaukee’s website is a good primer. If you’re open to living in any neighborhood—or are deciding between two or three—take some time to explore the area before signing a lease or even shopping for an apartment. Ask your friends to join you for dinner at a local restaurant one night or take a week to do errands in that part of town, experiencing the local grocery store, post office and library. If you have a dog—or like to walk—take Fido through a stroll in the local park as a way to get a glimpse of local life. Should the neighborhood have a bicycle path, take yourself on a two-wheeled adventure of your future home’s neighborhood. Other tips in finding an apartment include reviewing listings on Milwaukee's Craigslist page and driving around your neighborhood of choice. Many landlords and property-management companies opt to stick a "For Rent" sign in the front yard in lieu of advertising as not only a way to save money but also because demand could be high (and the unit filled quickly). Be sure to check out local coffee shops in your target part of town because it's not uncommon to see fliers tacked onto bulletin boards advertising vacancies. Also, if you are looking to relocate near Marquette University or the University of Wisconsin-Milwaukee, check with those universities for internal listings for nearby rentals that are available to staff, faculty and students. What: Shoreline Real Estate Co.